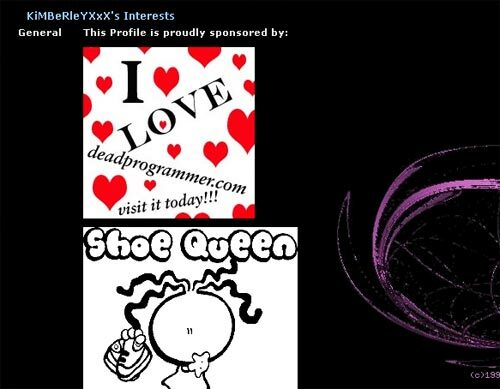 The majority of deadprogrammer.com traffic these days consists of myspace.com users hotlinking images. I really don’t mind hotlinking, in fact, I encourage it, but the thing is myspacecadets never ever link back to me. It’s common courtesy – if you use somebody’s image as well as server resources, provide a link back. Classy. If you have a better idea for a replacement image, let me know. Next PostNext How Do You Like Them Apricots?